This salty-sour-sweet fermented cranberry relish is a flavourful addition to any Thanksgiving feast. It has a delicious savoury flavour that makes it a good all-purpose condiment for all sorts of dishes: cheese and crackers, burgers sandwiches. 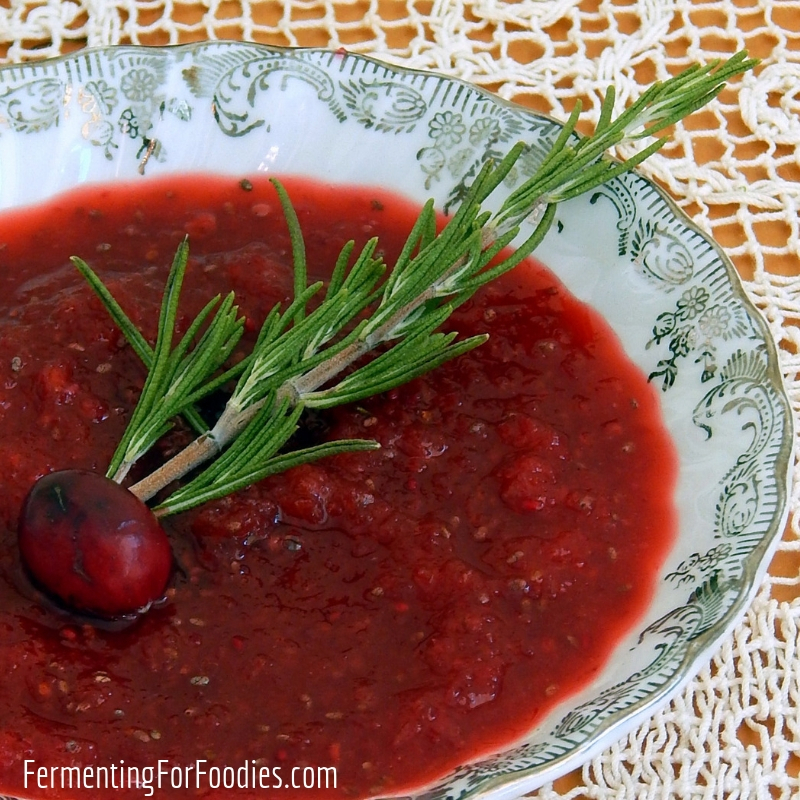 For anyone who may be a traditionalist when it comes to holiday cranberry sauces, here is a recipe for sweet fermented cranberry jelly. 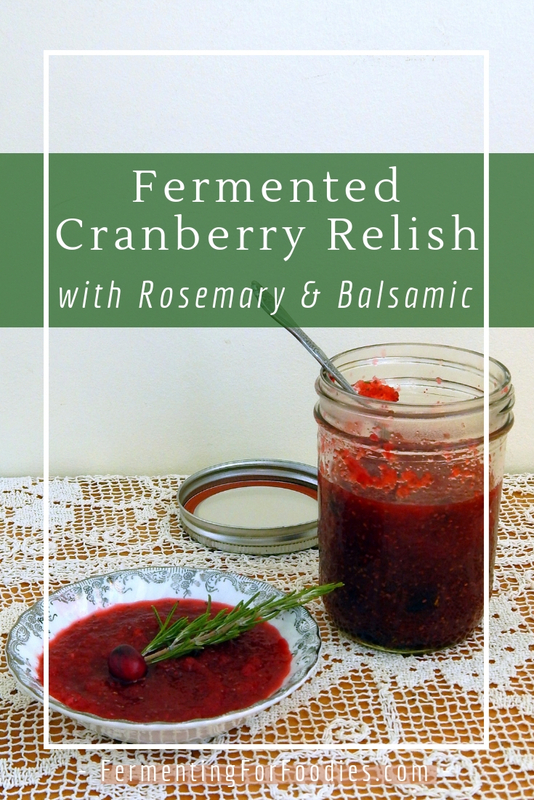 However, a savoury relish will add so much more to your meal, so I recommend making both types of fermented cranberry condiments! Wash the orange well. Slice the orange into 8 piece, and remove any seeds. Clean the cranberries and remove any that have started to wrinkle. Combine the orange sections (including the peel), cranberries, shallot, rosemary and salt in a blender. 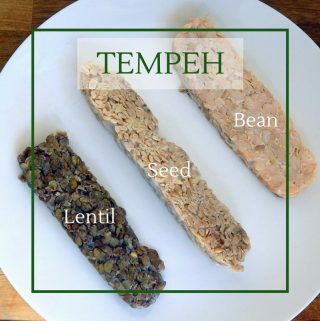 In batches, pulse the mixture until it is evenly chopped. Don't over chop, as this is a relish and it should have some texture. 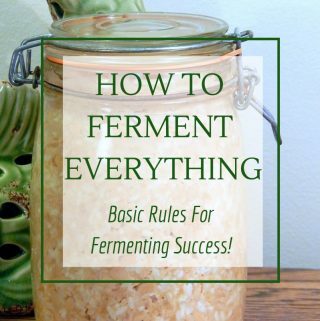 Pour into a glass jar for fermenting. 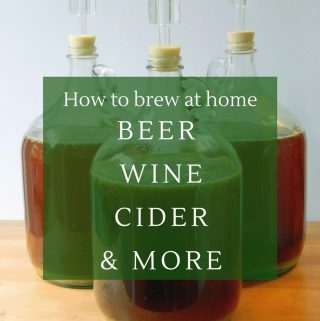 Ferment in a cool, dark location for 24 hours. 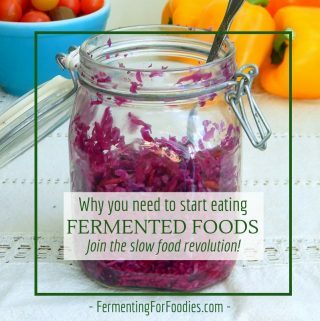 If you want to ferment for longer, then you will need to shake your jar daily, to mix the cranberry pulp into the ferment. Stir in the chopped dried fruit and balsamic vinegar. Taste and add sugar or honey if you feel it is needed. Store in the refrigerator and use within 1 month. The rosemary can be replaced by: 1 tsp ground cinnamon, 2 springs of fresh thyme, or 1 tbsp of finely diced ginger. If using cinnamon or ginger, then replace the balsamic vinegar with cider vinegar. 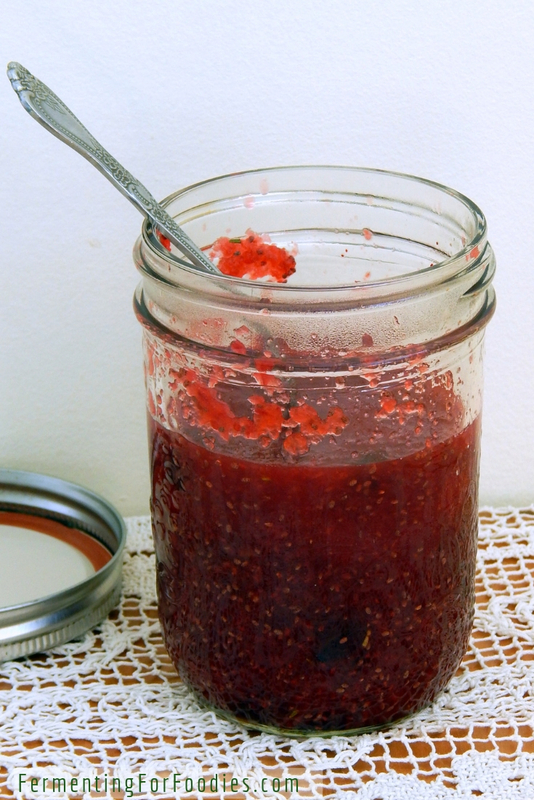 This cranberry relish is meant to be flavourful and tart, if you prefer a sweeter relish then add in 1/4 cup to 3/4 cup of sugar, honey or an alternative sweetener.